From RAH: “on the heels of 2012’s acclaimed year-long world tour, Crosby, Stills & Nash return to the Royal Albert Hall as part of their 2013 tour. 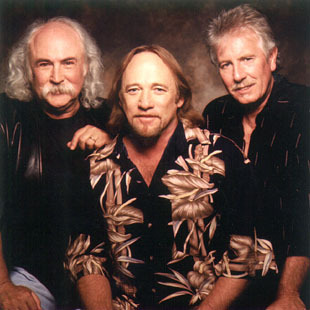 More than four decades since David Crosby, Stephen Stills, and Graham Nash first harmonised in Laurel Canyon, and played their first-ever concert as a trio at the legendary Woodstock festival, its members continue a creative partnership that is one of the most influential and enduring in music. Each member has been inducted into the Rock and Roll Hall of Fame two times-with Crosby, Stills & Nash, and a second time with The Byrds, Buffalo Springfield, and The Hollies, respectively. They have also been inducted into the Songwriter’s Hall of Fame, honouring both CSN as a group, and each member as individual solo artists. Crosby, Stills & Nash – Royal Albert Hall. This entry was posted in Book Tickets Now!, Concerts and tagged Crosby, Crosby Stills Nash & Young, David Crosby, Graham Nash, Rock and Roll Hall of Fame, Stephen Stills, Steve DiStanislao, Woodstock. Bookmark the permalink.